The brain shrinks as we age—it’s normal. 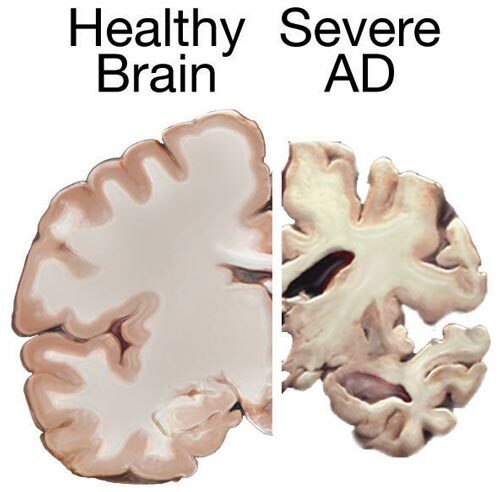 But in Alzheimer’s disease, neurons die-off in the billions, causing the brain to shrink more rapidly. Initially the disease wipes out neurons in brain structures that create and store memories. The disease then destroys regions responsible for language and behavior. As the rest of the brain breaks down, Alzheimer’s patients lose touch with the world and the people around them. The NIH is testing therapies to treat, delay, and ultimately prevent Alzheimer’s disease.